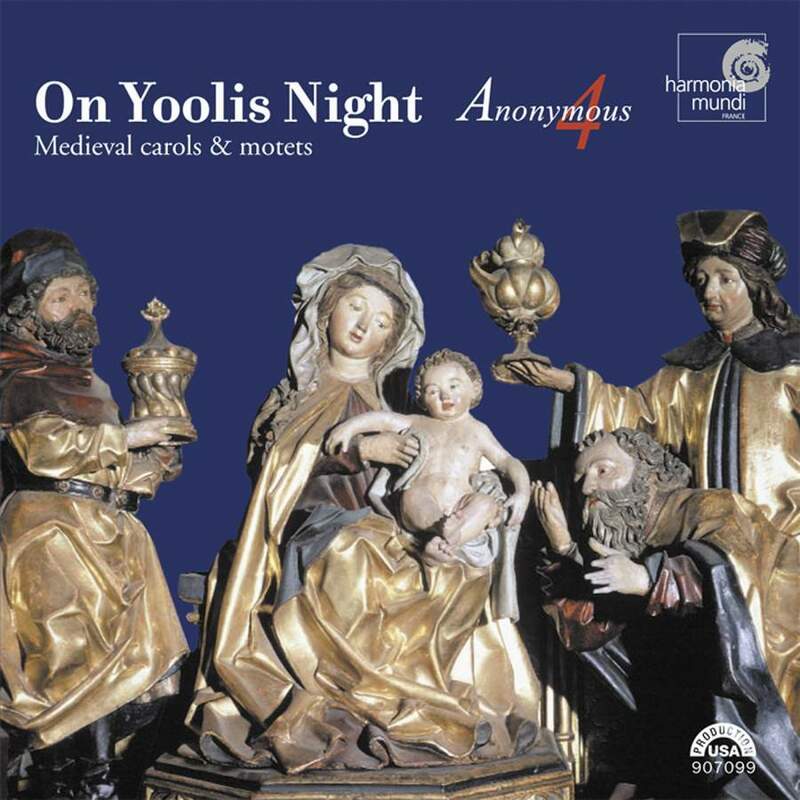 The four female members of Anonymous 4 are dedicated to the preservation of Gregorian chant from medieval times, and this holiday selection of English plainchant, songs, motets and carols are all derived from this period. As one might expect, the texts are often sacred in nature, to be performed during religious rites and devotions, such as Advent (hymn, "Vox Clara, Ecce, intonat"). Carols often use the multiple verse and refrain format, that was a typical form ("Ther Is No Rose Of Swych Vertu," and others). Much more could be said about the historical and musical context of these works - and is, in the extensive liner notes - but this background, though fascinating, is not necessary to simply appreciate the supple grace and open sound of these gentle voices, which is more than enough.